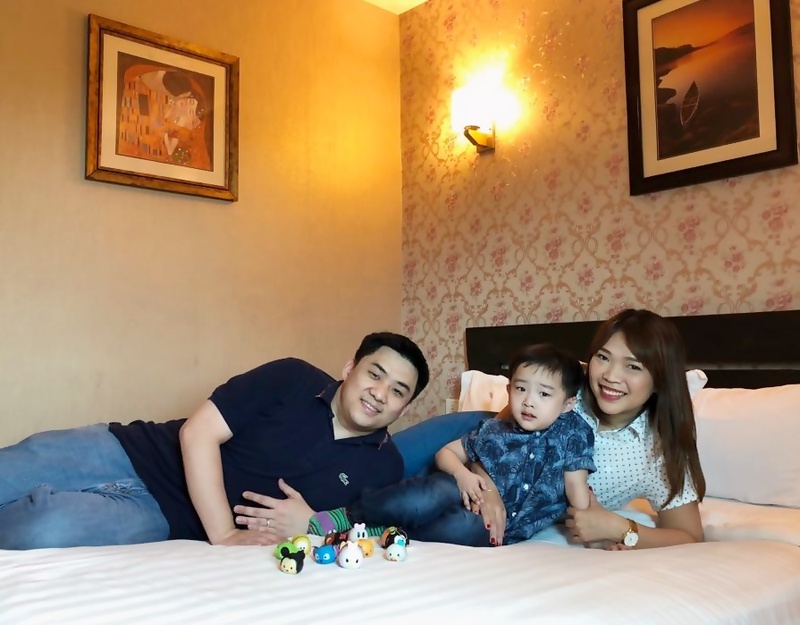 2 weekends ago, without plans, we've decided to have a short staycation in Tagaytay. It was Holy Week so I wasn't expecting to be able to book an overnight stay there. Thankfully, I have a friend who recommended me Tagaytay Wingate Manor so we've decided to give this place a try! Thanks Travis and Dee for helping me book! It was last minute but everything goes smoothly. 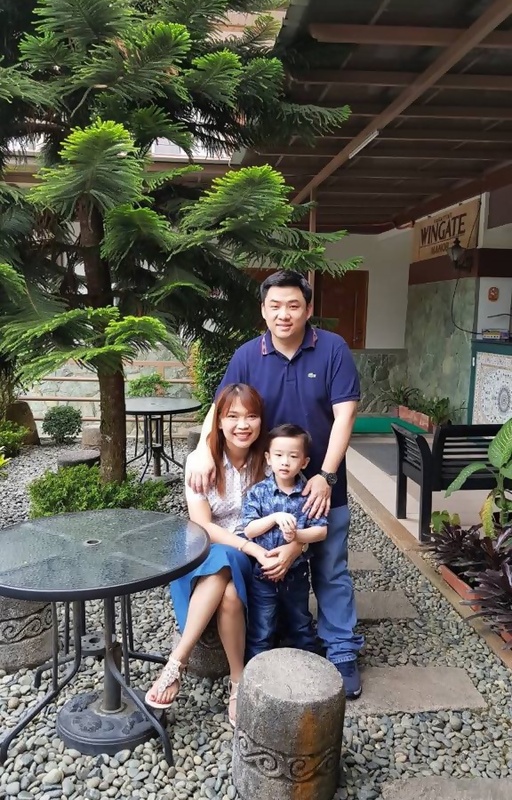 Located right at the heart of Tagaytay were you can do activities, dine in restaurants and a whole lot more, I like how it is tucked inside a road where there are more trees and fresh air. Tagaytay Wingate Manor is a two-storey property with a total of 24 rooms. Because it was peak season, the place was packed but thankfully, I don't feel like the place was crowded. We originally wanted the Premier room but since it was full, we went for Standard Queen Room and went for extra bed because we want our hardworking #yayatab to be on vacation with us too! 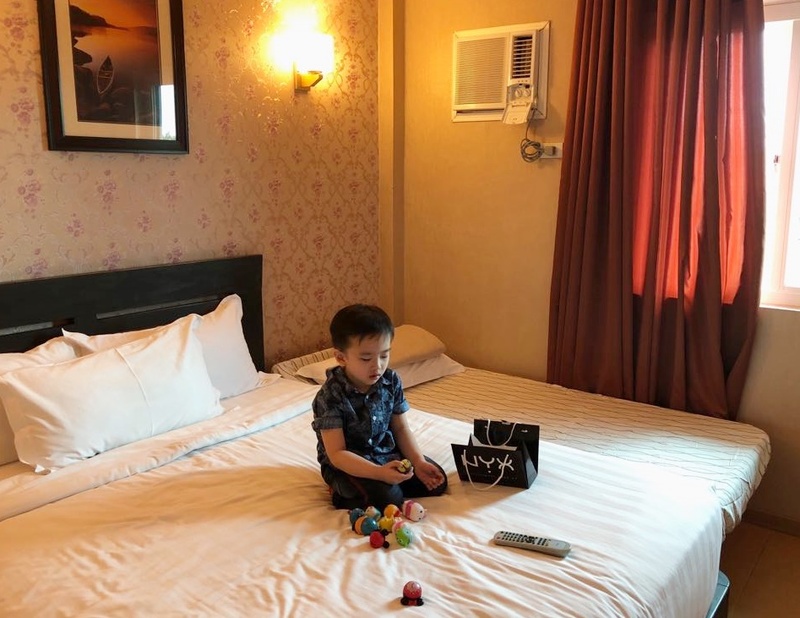 The size of Standard Queen room is around 20 m²/215 ft², even with Extra Bed, I like the space. 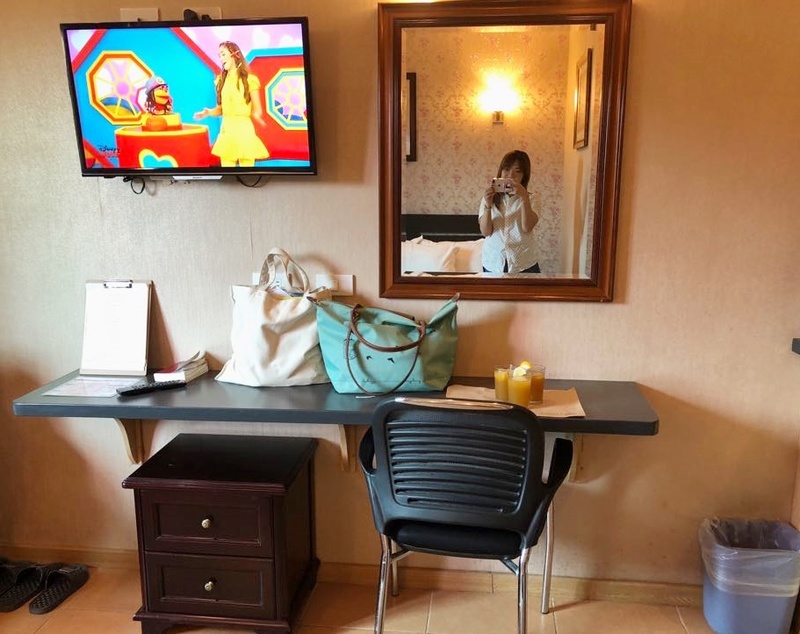 There's a mirror, a TV with cable (thank God there's cartoon channels!). 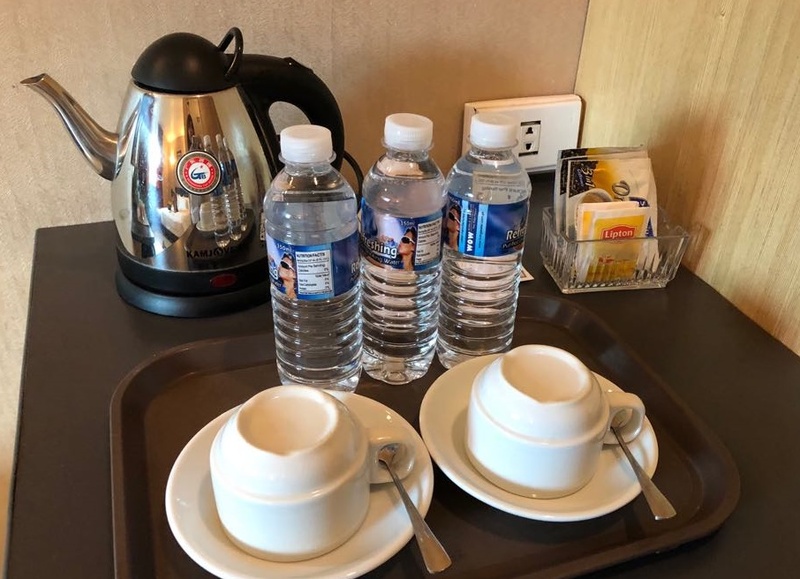 Upon check-in, a staff will serve Complimentary Drinks. 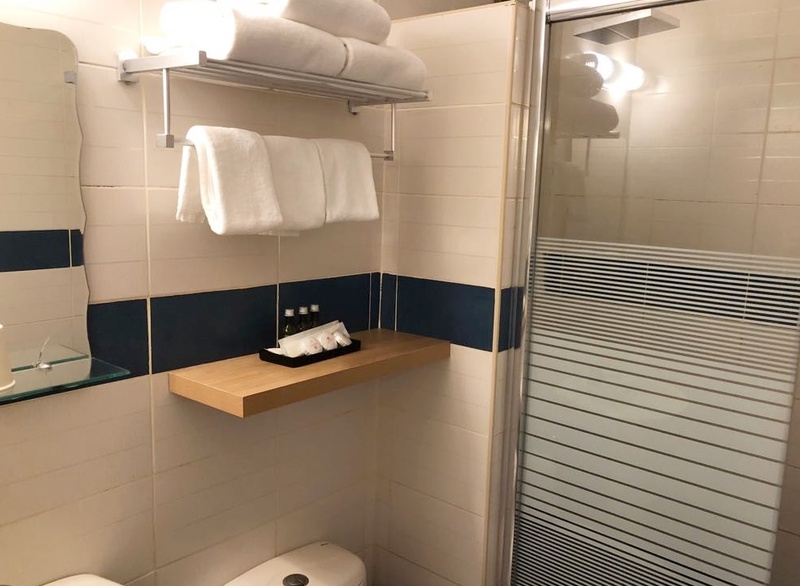 Thankful that the bath area is also spacious complete with clean towels, soap, shampoo, toothbrush with toothpaste! Best of all? Their toilet comes with bidet! I seriously do not understand hotels without bidet! Tagaytay Wingate Manor also offers complimentary bottled water, coffee and tea! 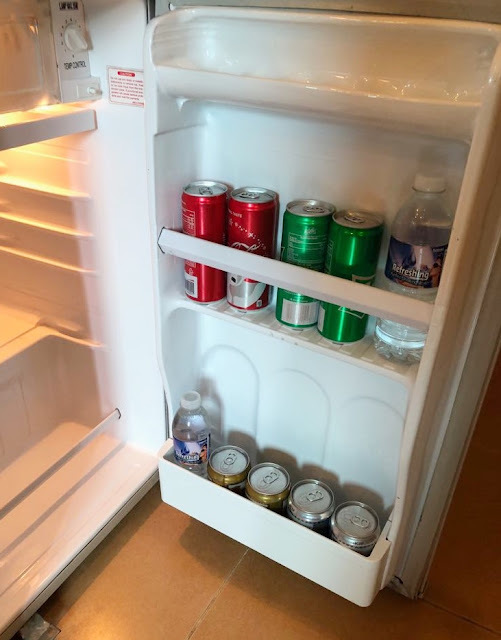 If you opt for more than just water, coffee or tea, you can purchase softdrinks available inside the fridge. As for the rest of the property, it may be small as compared to nearby hotels in the vicinity, I like it that they give complimentary Massages for guests. I've tried their full body massage and it was so relaxing! They also have a cafe, a garden for events (they were having BBQ that time during our stay!) and a huge swimming pool! 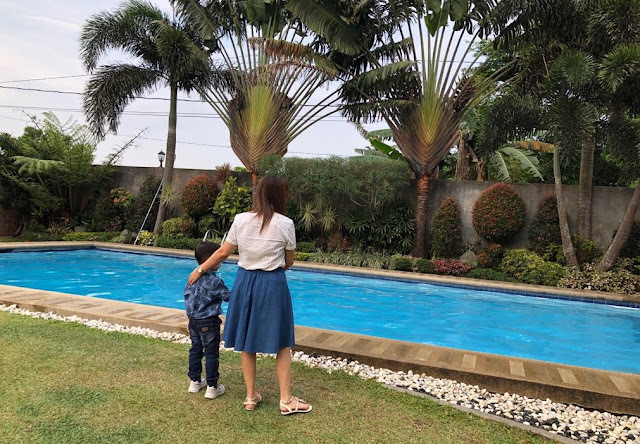 As much as Kyle and I would love to swim, I just got well from cough and colds so I've decided to skip this activity and bonded with the little boy in other ways. Our favorite place in the hotel is actually in this small corner right next to the Cafe. Kyle and I love to sit here and play with his Tsum Tsums. 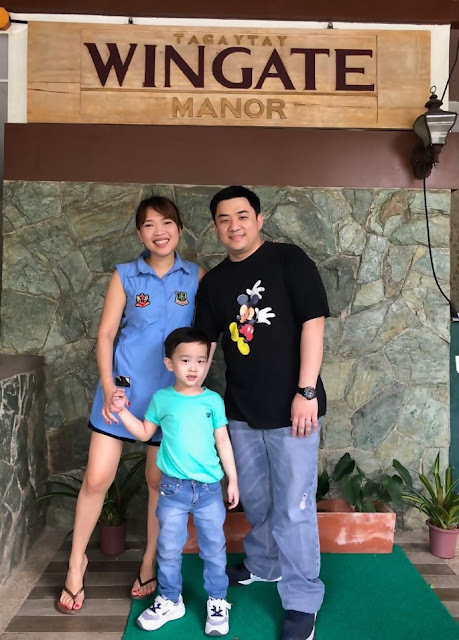 Overall, it may not be the usual huge hotels you see in the Metro, but when you wanted to go for quiet time, relaxation and family bonding without breaking the bank, I recommend trying it Tagaytay Wingate Manor. I like it most that they have parking space for guests so we don't have to worry about leaving the Hotel to enjoy the rest of Tagaytay and head back the hotel with a parking space still! I'm also thankful that their staffs were friendly and you got to try their free massages if you stay there! 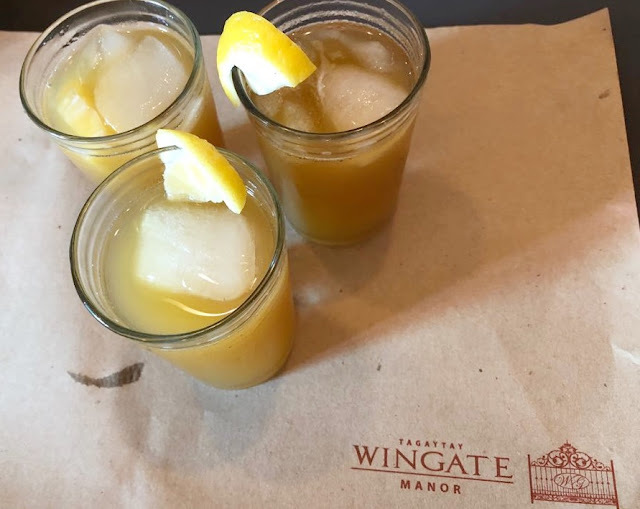 Have you visited or stayed at Tagaytay Wingate Manor? Are there any other properties in Tagaytay you highly recommend for us to stay?